Seasonal workers on P.E.I. caught in what's known as the employment insurance black hole can now apply for new skills training money. Seasonal workers on P.E.I. and other provinces caught in what's known as the employment insurance black hole can now apply for new skills training money. The black hole is the time when employment insurance has run out, and seasonal work has yet to start. Funding is available if employers are willing to hire the workers now, through what's called the P.E.I. Seasonal Worker Skills Initiative Training. Ottawa will give employers 90 per cent of the workers' wages, and the workers will spend four days a week in the business, and one day in essential skills training. 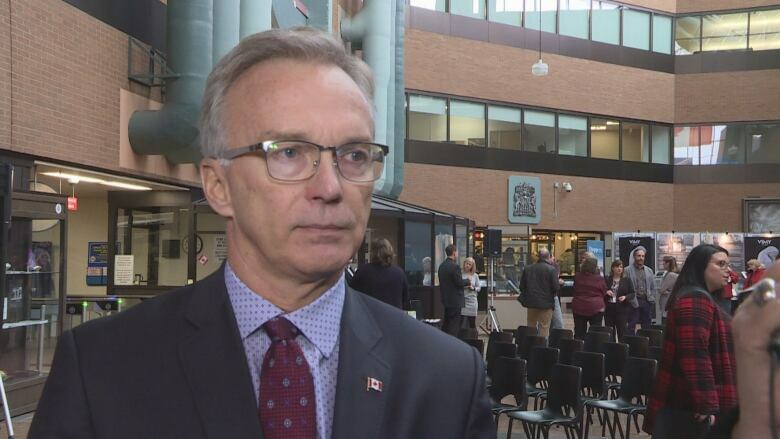 Charlottetown MP Sean Casey expects about 200 Island workers will be helped by the $1.1 million Ottawa has provided for the program on P.E.I. this year. Nationally, the figure is $10 million for this year. "The beauty of this is its simplicity and its urgency. So this allows for people that are hurting right now to benefit right now," said Casey. "It isn't fancy, it isn't complicated, but it's urgent and designed to get money into the pockets of the people that are right now struggling in the black hole situation." Casey said Ottawa has promised money for three years, starting this year, but how the money is spent could change. Casey will review how the program works this year on P.E.I. and submit a report to Social Development Minister Jean-Yves Duclos by the end of July.